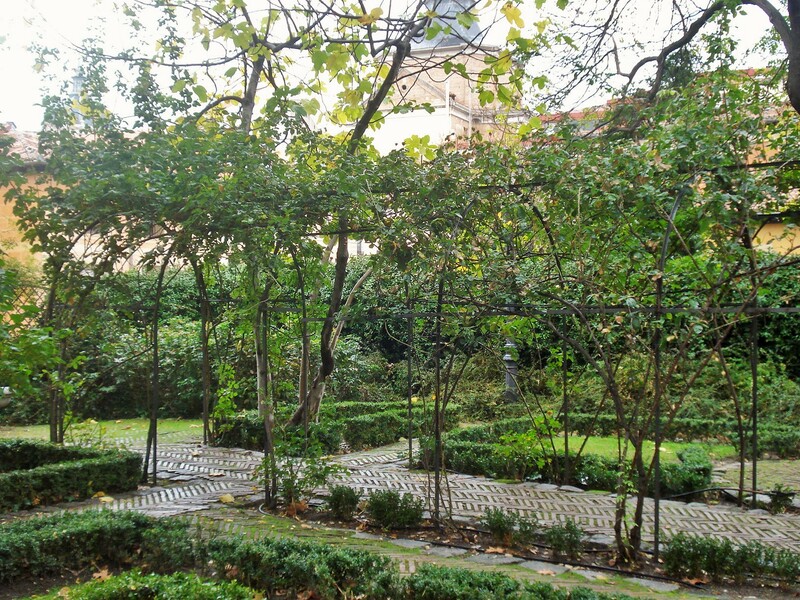 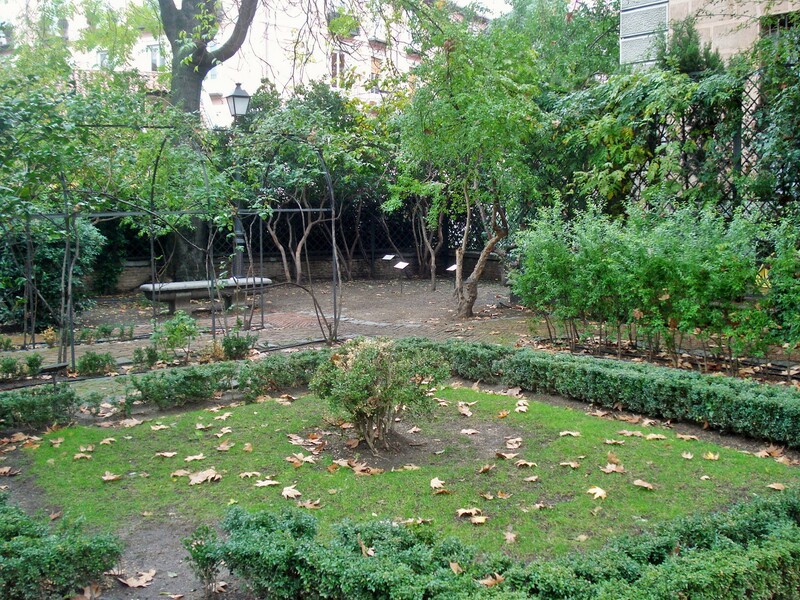 “Jardín del Príncipe de Anglona is a beautiful green space, gracing Madrid’s Plaza de la Paja. 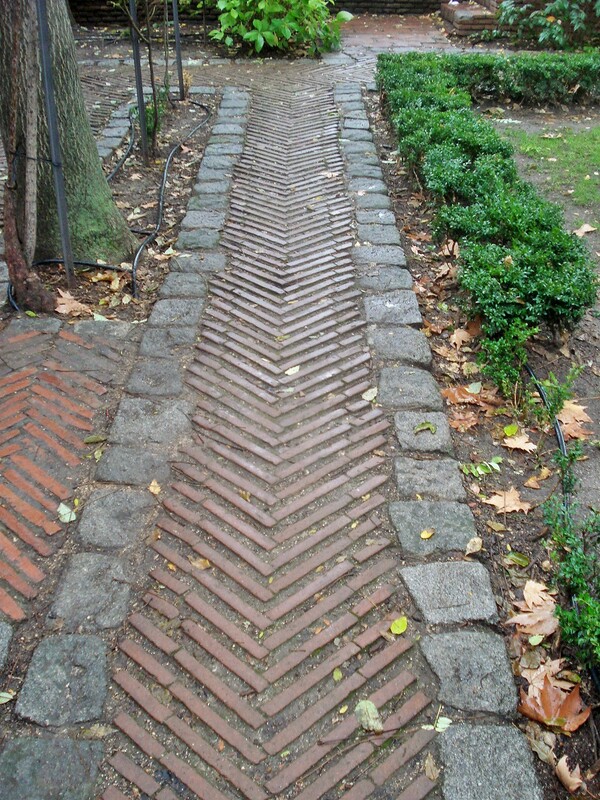 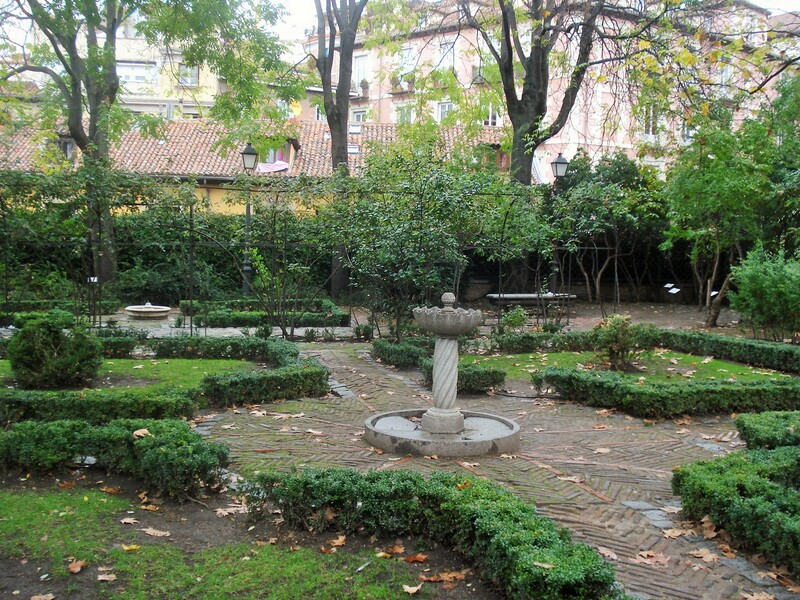 It is one of the few examples of aristocratic gardens of the eighteenth century still preserved in the capital. 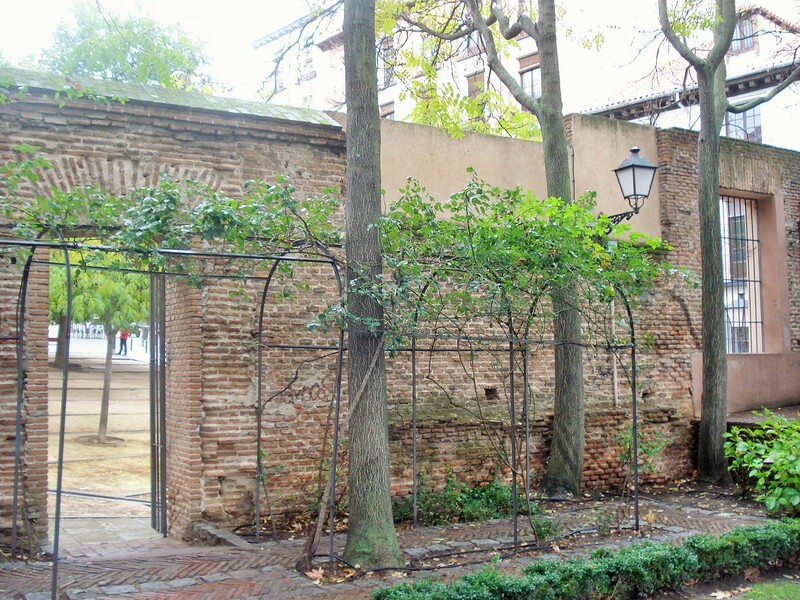 Its history is linked to the Palacio del Príncipe de Anglona, an edifice erected around 1530 as the residence of Francisco de Vargas- Jardín del Príncipe de Anglona was laid out in the eighteenth century, along one side of the mansion. 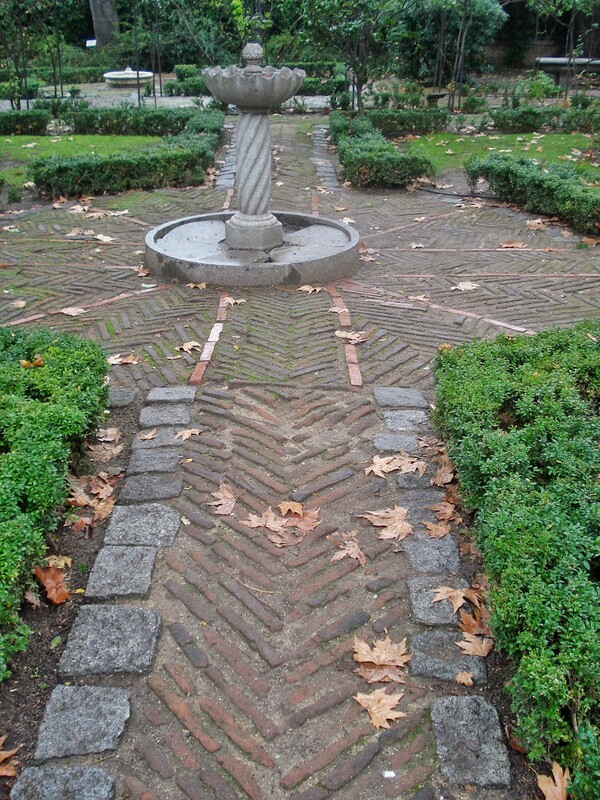 It was designed in neo-classical style by Nicolás Chalmandrier. 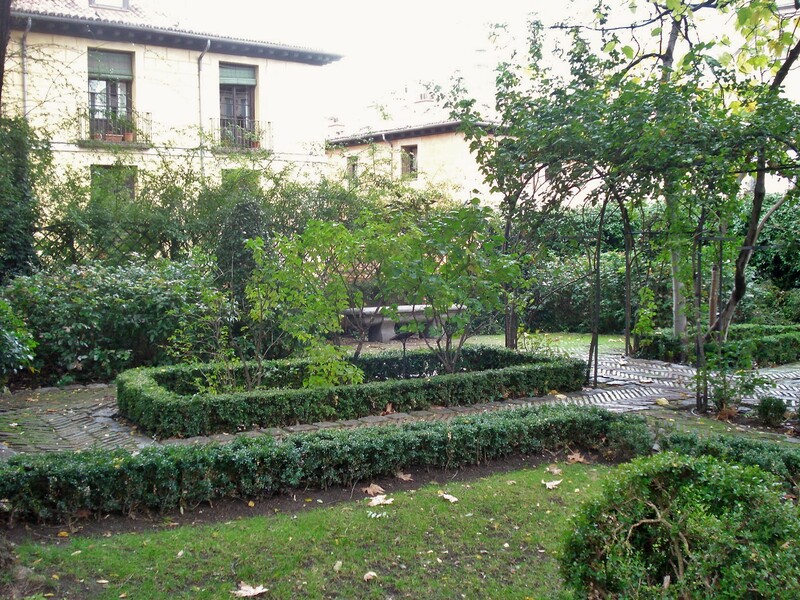 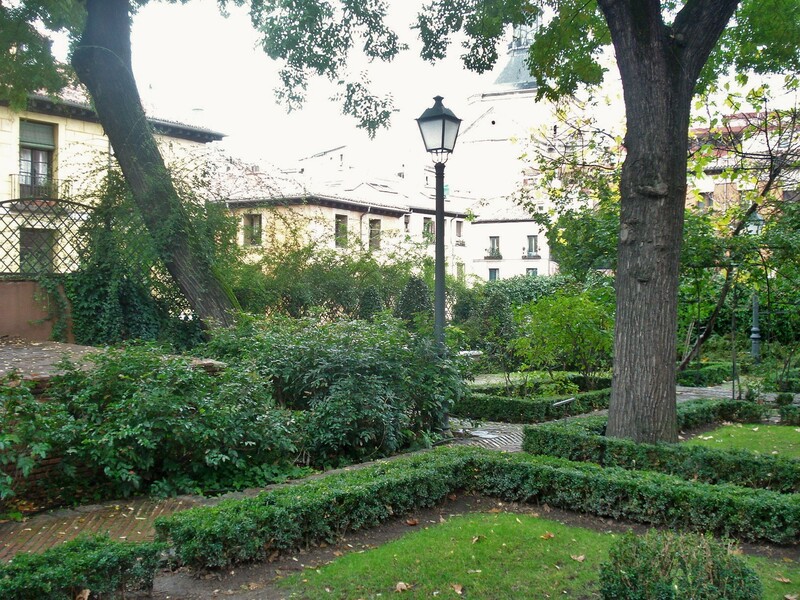 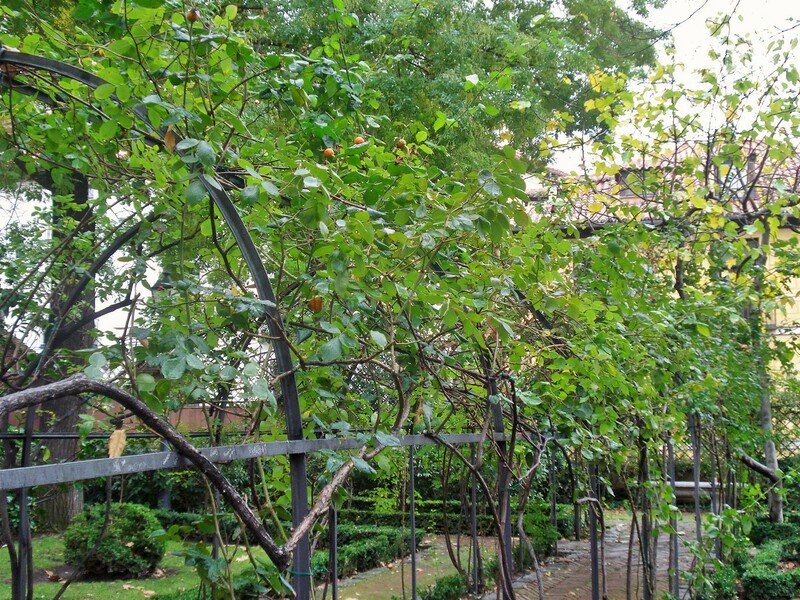 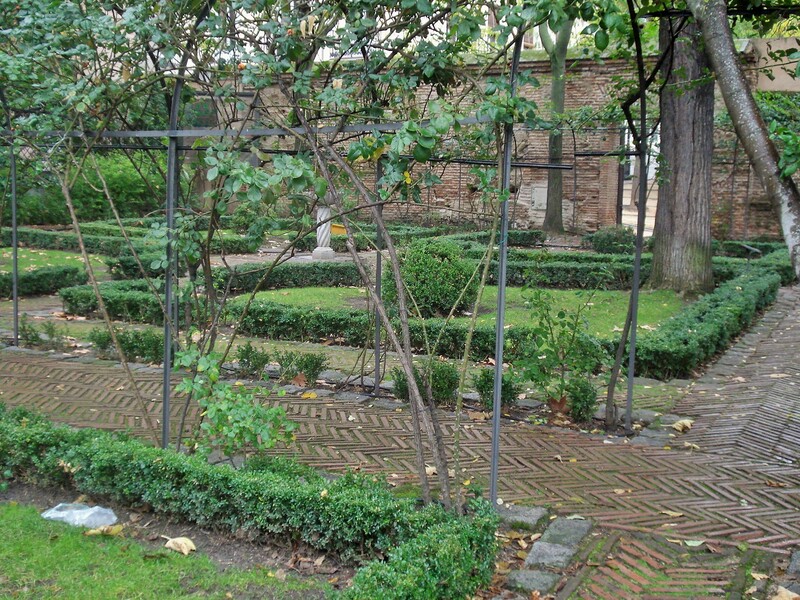 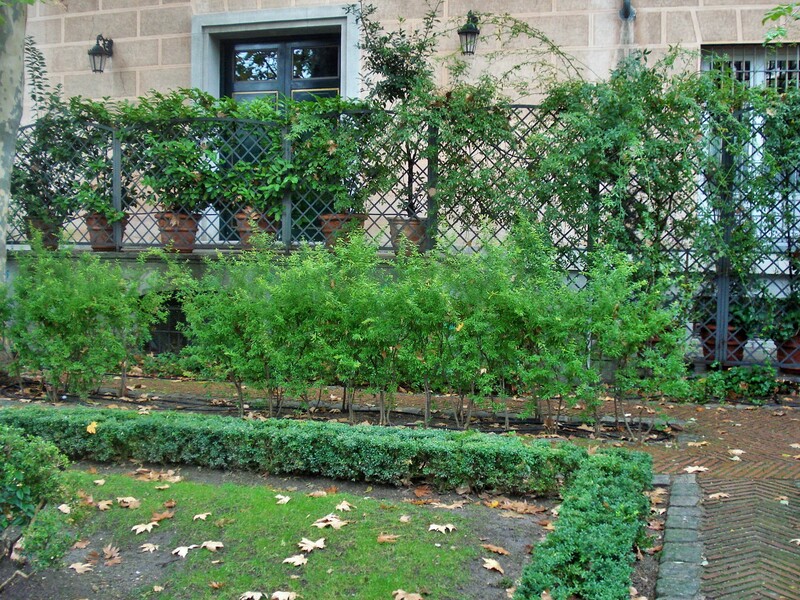 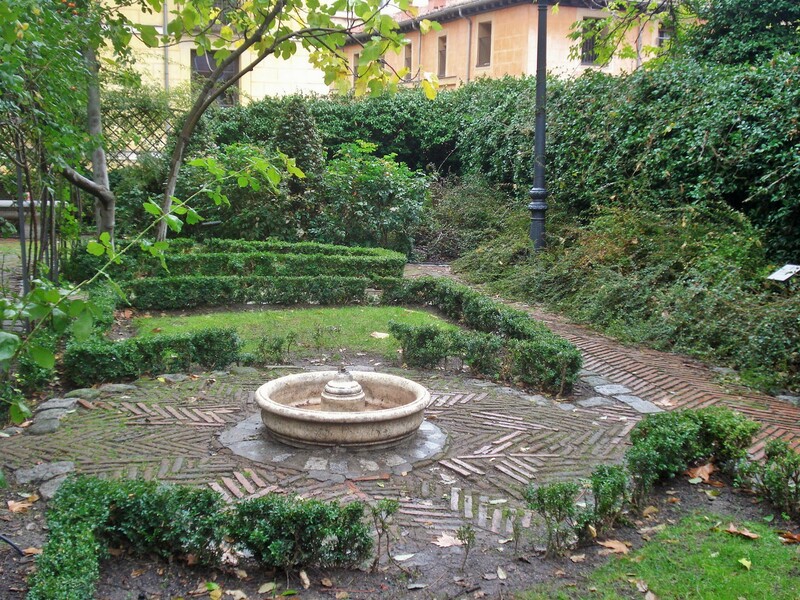 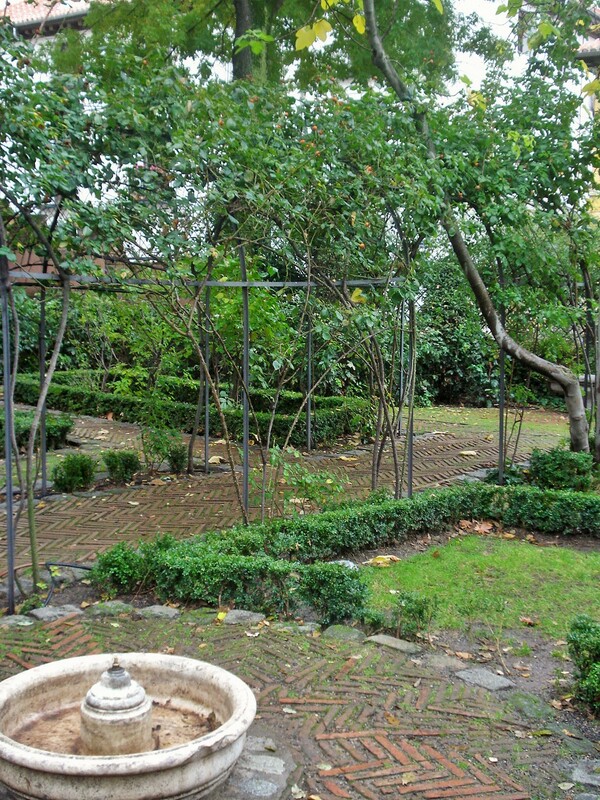 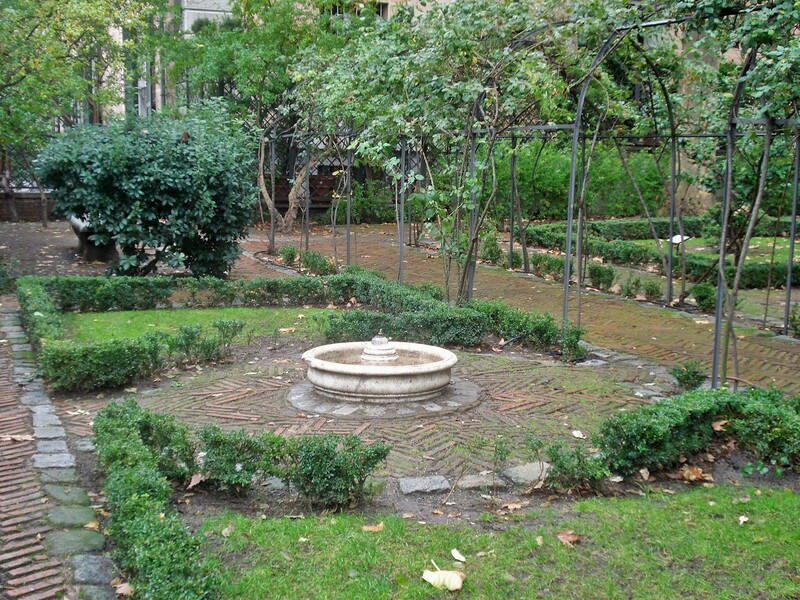 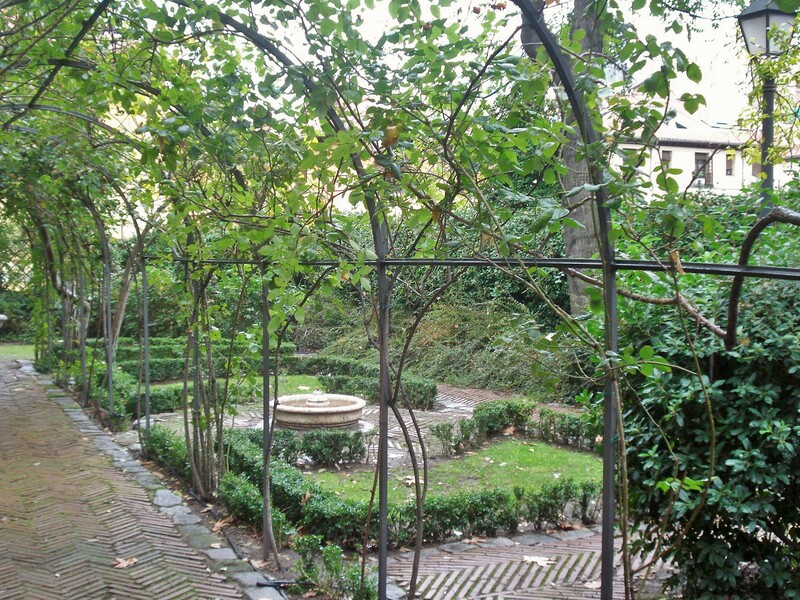 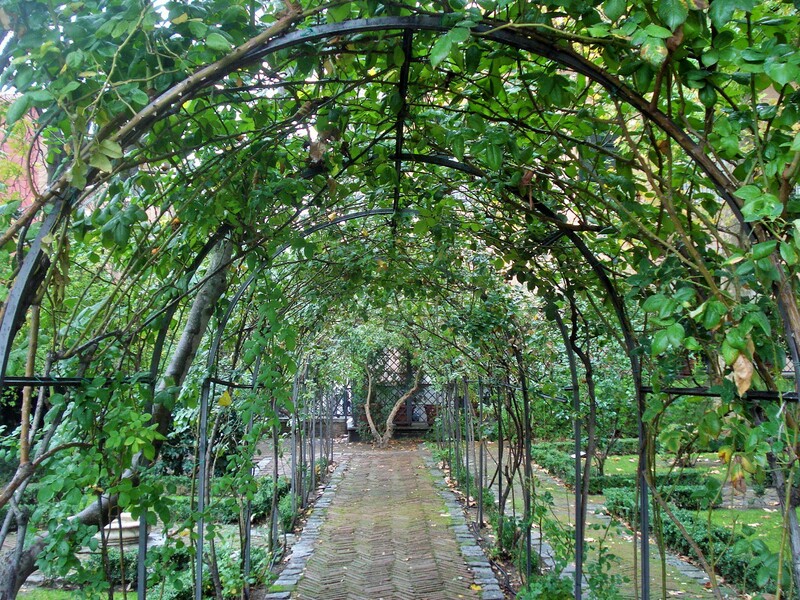 I visited this garden in the fall, and I can only image what a wonderful green oasis it must be in the heart of Madrid when the arbor and roses are in full bloom.